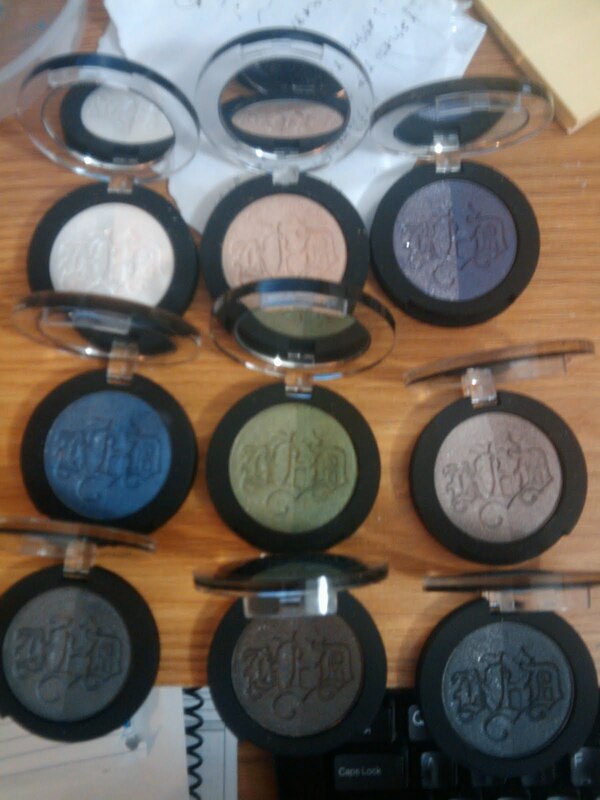 Kat Von D Rock & Roll Shadow Duos - Swatches! All of the colors are gorgeous! They are long-lasting, blendable, and extremely pigmented - the only one that is pretty sheer is the purple one (Groupie). These were not meant to be a duo as in, say, a lid color and crease color. Both shades in each duo are VERY similar, only the left shade has silver glitter in it, and the right shade is either shimmery or matte. So you get 2 different shadows for the price of one! I happen to like this, even though I've seen a lot of people complain about it. Anyway...on with the pictures!